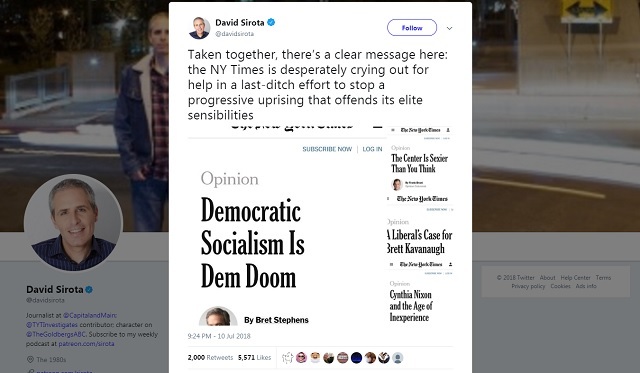 The Democrats' masters at the New York Times are urging their lowly slaves not to embrace Democratic Socialism and the abolition of ICE so as not to alienate moderates during the midterms, but they're getting nowhere. The New York Times understands demographics have not shifted enough to completely ignore the will of traditional American voters. 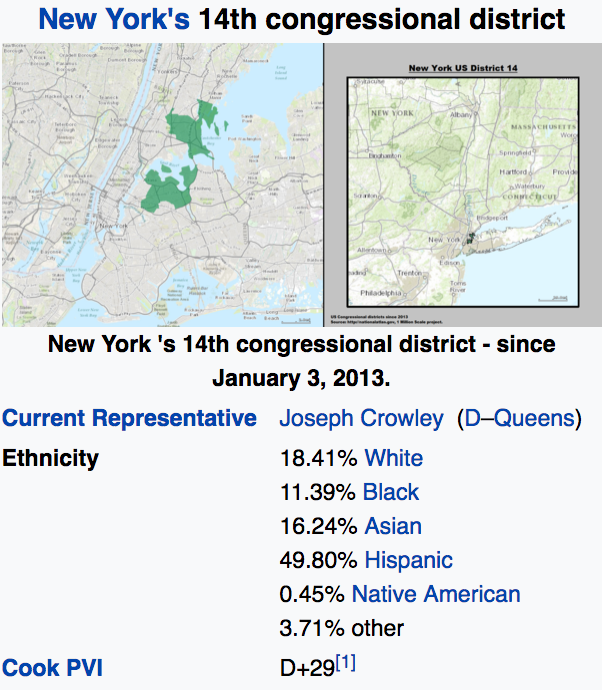 The demographics of New York's 14th district don't exactly line up with the rest of the country and Alexandria Ocasio-Cortez's victory can not easily be repeated (yet). The Trump revolution showed middle class voters they can still have influence over their government and woke them from a multi-decade long slumber. 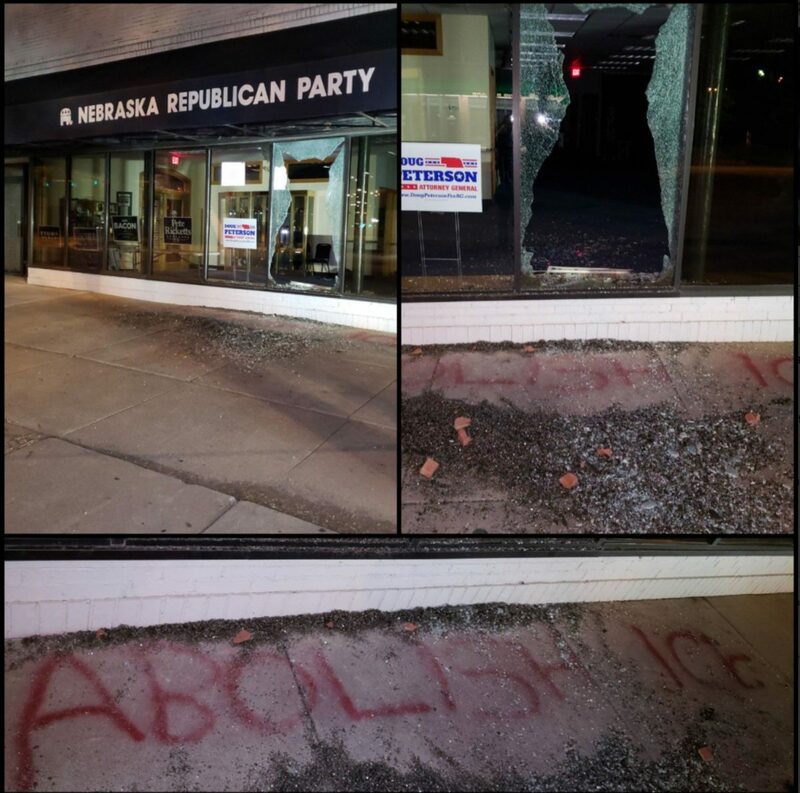 The Democrats' base, who are fueled purely by hatred of traditional America and traditional Americans, don't understand this and seem to think they can institute a violent revolution to seize back power (because being out of power for two years is just too much to bear). The New York Times' owners understand middle America is waking up to the fact they don't have to embrace their own destruction, so they're trying not to scare them with visions of America becoming a Third-World communist hellhole. Fortunately, their influence has waned thanks to the rise of the internet and social media, and as you can see below, it's having little to no effect.